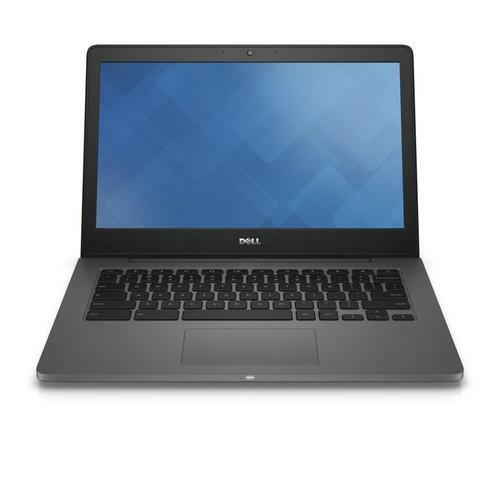 The new Dell Chromebook 13 laptop has a 13.3-inch (33.7 centimeter) screen and resembles the other business-class Latitude Dell laptops, with a carbon fiber weave cover, magnesium alloy palm rest and aluminum base. Unlike other Dell laptops, it has no hard drive, aside from a small 16GB or 32GB SSD to hold the operating system. Like other Chromebooks, it runs Google's Chrome OS and is designed to be used primarily for Web applications. Some Dell customers are choosing Chromebooks over "other alternatives," said Kirk Schell, Dell vice president and general manager for commercial client solutions. Dell doesn't expect that this Chromebook will replace full-fledged Windows-based notebooks. "We don't think this is a one-size-fits-all market," Schell said. In particular, organizations with many mobile workers may find Chromebooks appealing, as would those organizations that rely entirely on web applications -- though the Chromebook 13 can also support desktop virtualization software from Dell or Citrix as well, allowing workers to remotely access their desktop applications. The device, slated to start shipping in September, offers up to 12 hours of battery life, and can boot up in less than 6 seconds, according to Dell. Chromebook 13 comes with several advancements over its predecessor, Chromebook 11, which had an 11-inch screen and offered an estimated 7 hours of battery life. The device runs either Intel Core i3 or i5 processors and can come with up to 8GB of working memory. It has a 720p HD video webcam. Dell has also arranged to support the device with its enterprise software. Administrators can keep track of the devices through Dell's KACE inventory management software. For mobile workers, the device can work with the Dell SonicWall Mobile Connect virtual private network app, providing a way to connect through a firewall into a corporate network. Users can tap into their applications through the Dell Wyse vWorkspace desktop virtualization software. Google also provides a cloud-based management console to manage and update the corporate Chromeboooks. The Dell Chromebook 13 starts at US$399.00 and will be available beginning September 17 in the U.S. and Canada.